On a brownie dominated river, this was the most likely spot to catch a rainbow. Over the course of 3 seasons, I had the privilege of fishing with Takahashi-san, an engineer on contract from Tokyo with Toyota South Africa. He is pro staff for Souls, one of the less well known JDM tackle brands. 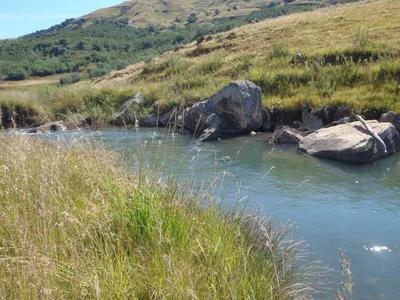 We spent this time on a stretch of the Bushman’s river in KwaZulu Natal. Fed chiefly by summer thunderstorms over the majestic Drakensberg, it’s a freestone river which boasts some of South Africa’s best brown trout fishing. South Africans have stuck closely to the English view on trout fishing, which is that gentlemen only use the fly to pursue our spotted friends. Since I’m a non-conformist at heart and a JDM tackle junkie, it was pure joy to thumb my nose at tradition and approach African river trouting from a Japanese perspective. As a preface to sharing some of the ‘wisdom of Takahashi’, let me just say that as someone who has done a fair bit of fly fishing for trout in the US, UK, Ireland and South Africa, I was astonished at how effective the ‘native minnowing style’ was at catching big fish. Almost all of my ‘fly fishing’ assumptions about what it took to catch big brownies were upended. The foundational insight he shared was the very antithesis of the ‘imitative’ fly approach rooted in the writing of Halford, Skues et al. There was no intention to imitate ‘normal’ prey items, even if baitfish were on the menu. He went further and cautioned me to avoid a presentation which was imitative or, as he put it, likely to get a ‘feeding reaction’. This insight became clearer as I quizzed him on the size of minnows he used. He very rarely used anything smaller than 65mm, on occasion he would throw minnows of 100 or even 130mm to prompt a reaction. Smaller minnow plugs (40-50mm), were too small to provoke a territorial response. As I watched and fished with Takahashi, the insight settled in. Of course this was helped along by the sight of big brownies rushing out of brush piles in plain view with murder in mind as they chased my flashing minnows. When you are fishing these up-sized minnow plugs how big are the trout you are catching? Most of ours only average 10-13" so might these be too large? Is what looks like a split shot on the front hook to balance out the plug after removing the front hook or to get the plug deeper? To clarify, the 'bigger bait / reaction paradigm' is relative to the body of water and size of fish. On the Bushman's, the average fish was 13-14", a good one 16" and top end approaching 24". On your water, if a 15" is a trophy then a 50mm minnow might be the ticket. The split shot was to approximate the weight and drag of belly treble / split ring to maintain swimming integrity in quick water with fast retrieves. Thanks for the nice post. It’s great to get different perspectives from across the globe. After experimenting with homemade spinners and spoons last year I am going to dedicate more time to this approach this season. My waters can vary quite significantly within a mile of fishing, from overgrown tight canopy with shallow riffles to sizeable waterfalls with deep plunge pools. I suspect a wider range of sizes, and frequent changes might be the ticket. I encountered an older gentleman while out exploring last year who absolutely lit up when he learned that I was spin fishing for trout. He was, unfortunately well past his prime and no longer physically able to pursue trout in remote settings, but after a pleasant conversation he revealed his "secret" for big trout success. Bass plugs! It turns out that over the years he had developed a preference for catching brown trout over anything else, and bass plugs were his most effective lure. So, whether in Japan, South Africa, or the Carolina mountainside, it seems that people will experiment to find what works and develop preferences based on experience. Thank you very much for some wisdom from far away from where I live. I have seen large trout chase even the 1.5 inch lures I have fished from this site. 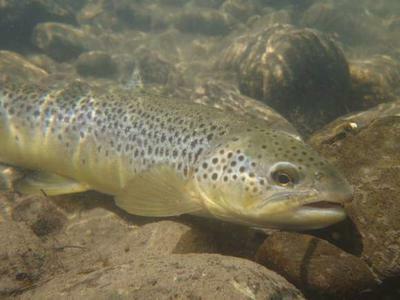 I believe that all large trout are territorial, and don't want other fish in their area. 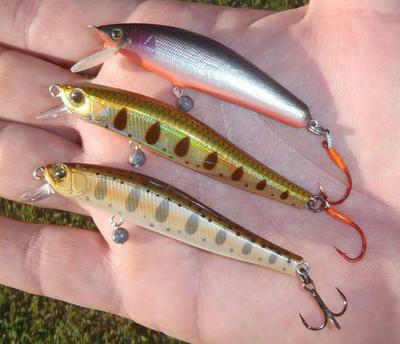 I am hoping to really explore fishing with lures more this summer. There is a lot of exploring to do with this type of fishing. It would be really cool to have a workshop with one of the Japanese masters! As a reminder, anonymous comments will not be published.